To be honest, this is one of those dishes that looks quite appealing to me, it is a dish that makes one feel instantly healthy just be looking at it!! 😉 and I must say it photographs well too! Heat a pan and slightly toast the pine nuts until light brown. Keep your eyes on them as they tend to burn quickly otherwise! 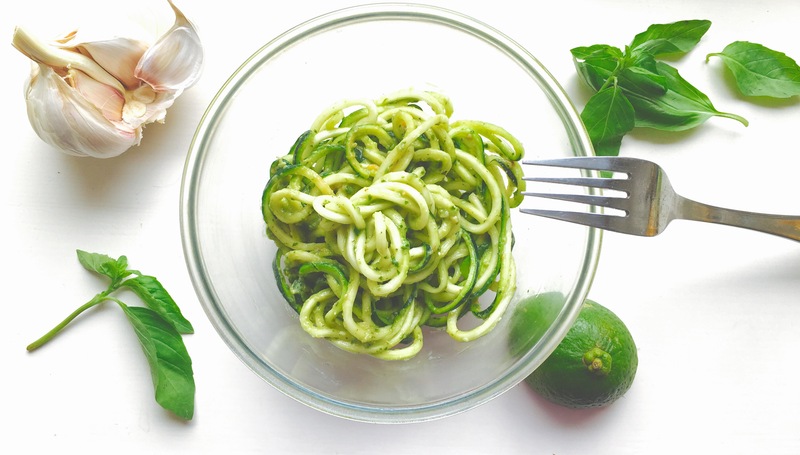 Please serve as soon as the pesto is mixed in as the salt in it tends to make the zoodles soggy! 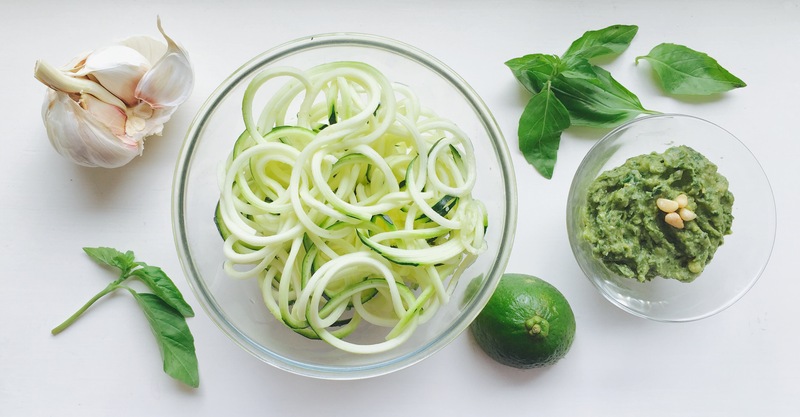 Tip: While mixing the pesto in, use your hands its much easier and faster that way!